Old Man Winter is upon us and rough lips, chapped cheeks and split cuticles are all signs that the dryness of winter months has gotten under our skin – literally. I love winter. As a runner and skier, the cold doesn’t keep me inside. BUT, the time outside in the dry cold can wreck havoc on my skin. Having a great skin-healing balm at the ready helps me enjoy the winter’s cold, as it protects my lips, cheeks, hands and feet from becoming overly dry! Many products line the pharmacy shelves claiming to heal our dry skin and protect from chaffing and chapping. Conventional products often contain synthetic chemicals derived from petroleum, and while they may act like sealants on the skin, they do little to truly heal the dermis. Fortunately the marketplace offers other options for skin care that are plant-based and more environmentally sound. As protective bases; plant-based oils like coconut oil, olive oil, grapeseed oil, and rose hip oils are all excellent choices and are versatile for all skin types. The healthy alternative to parrifin wax in skin care is beeswax. This helps create a protective barrier from the elements while letting the skin sweat and helps support bee-keepers. While perusing the skin care aisle, look for creams that contain plants like plantain, calendula, comfrey, chickweed. 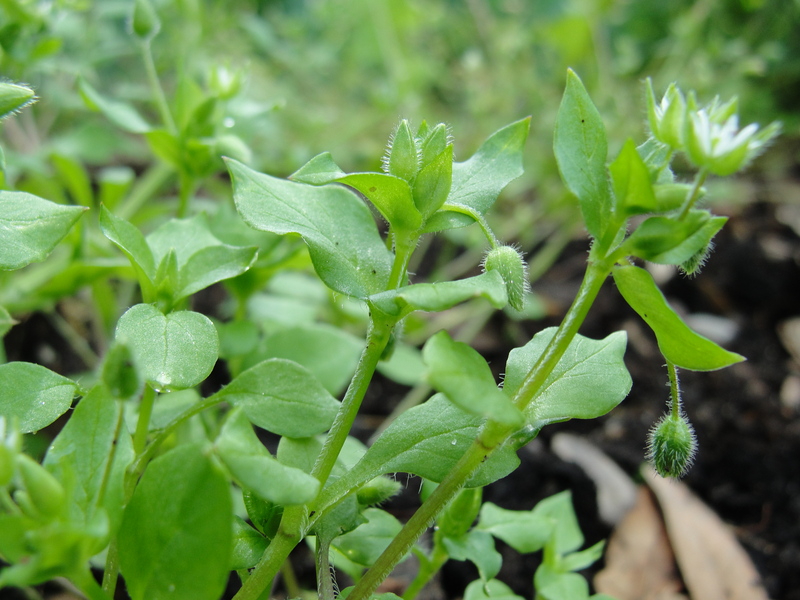 These plants are deep-tissue healers that can repair the cracks and splits in the skin. 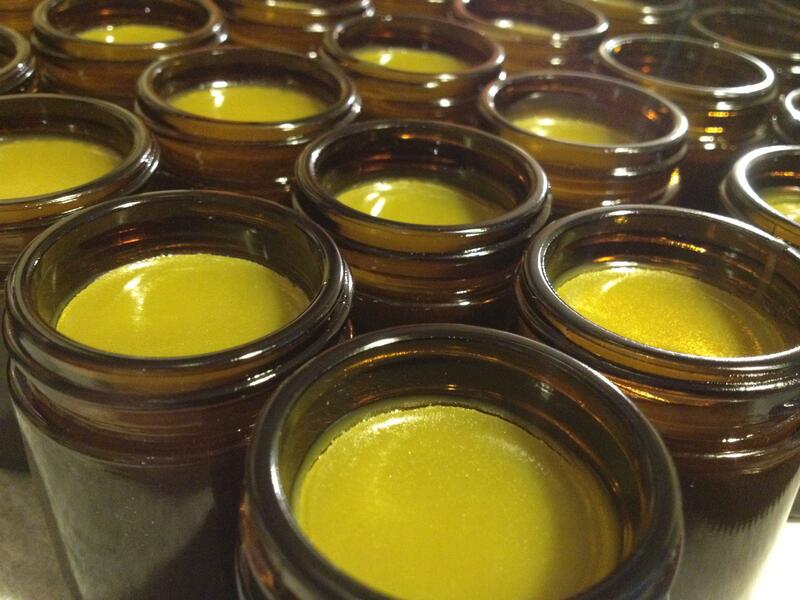 Want to make your own skin-healing salve? 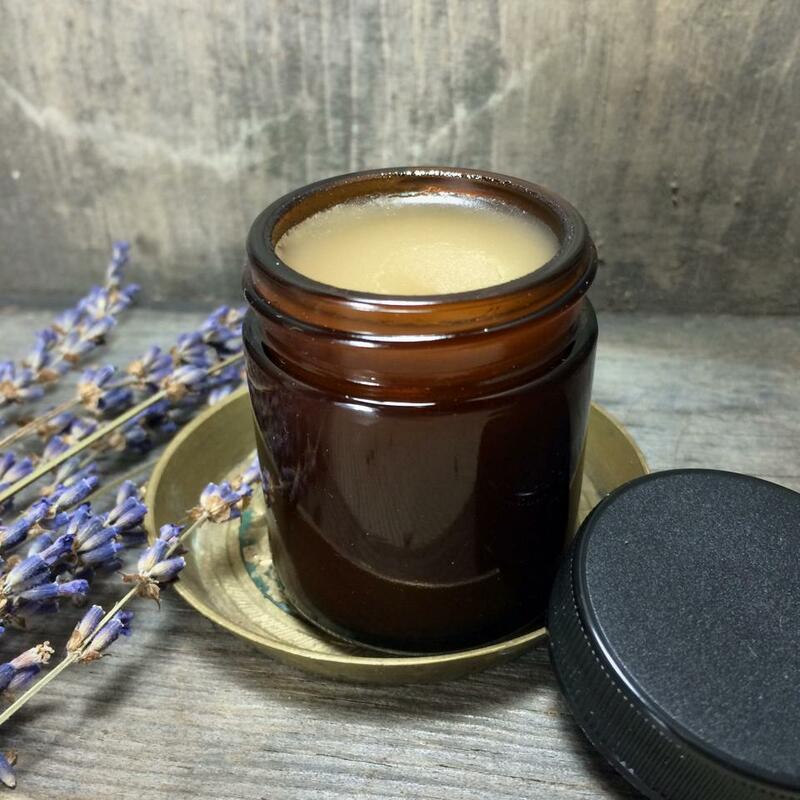 Do you go through a lot of balms and salves and want to make your own? Good news! You can easily make your own calendula skin healing balm in a big batch in your own kitchen. Create a batch of chapped cheek balm in your kitchen with just four ingredients: herbs, olive oil, and beeswax. Beeswax helps solidify the balm and works as a protective layer on the skin without leaving a greasy feeling. 1) Infuse oil with the calendula. Infuse calendula in the oil in a double boiler and let simmer over low heat for 8 hours. This also can be done in a crock pot, taking care to not heat the oil past 130 degrees (lest it burns). 3) Place infused calendula oil in a double boiler and heat until the beeswax melts. Adjust the consistency by adding more wax or oil, depending on your preference. 4) Remove from heat and pour into prepared tins or jars. Salves should be stored in a cool location. Apply the balm before heading outside to protect the skin from harsh elements. If your skin feels sensitive in the shower, apply the balm before you rinse off. It may sound counter-intuitive to getting clean, but it will protect your skin from drying hot water and allow the botanicals to soak deep into the dermis for healing. If you don’t have time to make your own, support local. While there are large-scale manufacturers making these botanical ointments, there’s a chance you live nearby a local herbalist that makes these skin creams from plants in your area. I get great reviews on my Burdock & Rose Botanical Lip and Body Balm – which is made from all local plants that I wildcraft. I also really love Autumn Moon’s Plant Glamour in Detroit, but you can also check out localharvest.org to help locate an herbalist in your neck of the woods. And remember – keep those balms handy to help you enjoy the cold. As my dad used to say, “There’s never the wrong weather, only the wrong clothing!” Protect your skin!